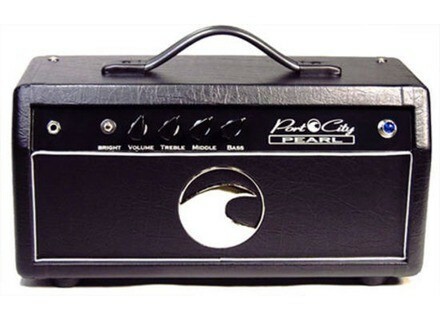 Pearl Amp, Tube Guitar Amp Head from Port City Amps. 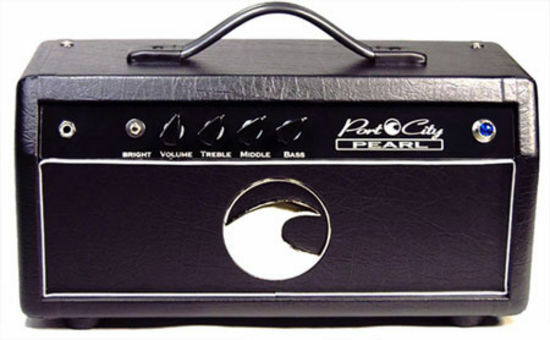 The Pearl is designed for those tight stages as it measures only 16 7/8" W x 8 ¾" T x 7" D.
It pairs well with the Port City 1x12 and 1x12 OS Wave cabinets. The Port City Pearl is handmade in North Carolina and crafted from ¼" inch finger jointed solid pine. For more information, visit www.portcityamps.com. [Musikmesse] Ibanez Les Paul Plustop PRO/FX The PRO/FX features a solid Mahogany back with a flamed Maple top and a solid Mahogany neck that's hand-fitted and glued into the body.